You know how the saying goes – ‘new year, new me.’ Whether you already have a couple ideas on what your 2019 work goals are going to be or are considering winging it, take some inspiration from these New Year resolutions for property management and make 2019 your time to shine. Looking to reach a few rental property goals this year, like reduced retention rates and a higher ROI? Take the time to learn a few new property management skills or brush up on your training to kick start the New Year. While on your drive to your properties or the office, pick out a property management podcast to listen to. Make a wish list of all the property management skills you wish to learn by the end of the year and get started with online classes available at websites like Udemy or LinkedIn Learning. Consider attending a rental housing exposition and tradeshow to learn more from experienced property management professionals. Learning a new management skill or brushing up on the skills you already have can help you manage more efficiently, and help you be on your A-Game for 2019. 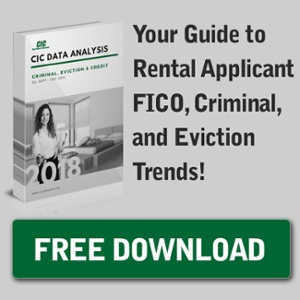 CIC Subscribers get free access to the Safe Access For Credit (SAFC) course and certification for Multifamily Housing Professionals, a course reviewing good credit reporting practices. If your goal is to climb the property management ladder within the multifamily housing industry, you’ll want to pay close attention to your online brand. Believe it or not, your public social media profiles, especially LinkedIn, can play a key role in increasing your opportunities within the rental housing industry. After ramping up your online connections, it’s time to make connections in person. Getting active in your local apartment association or attending a tradeshow can help you meet property management professionals and give you the resources to grow in your field. Staying organized by developing good property management strategies is a key skill. Before 2019 begins, take the time to use our guide to organize your email inbox. You can jumpstart your newfound organizational habits by working to keep your to-do lists organized and in one place (like your phone or in a planner). You can also use a planner or a calendar app (like MinimaList or Any.do) to ensure you complete all your daily tasks and remind yourself to check up on property management maintenance tasks. If your goal for this year is to take a breather, use a mood tracking app like Youper or Reflectly to help discover what influences your mood. This can help you take a step back and think objectively about what’s causing your long-term property management stress and what actions you can take to minimize that stress. Meditation tools can help you in a pinch if you’re feeling particularly anxious and stressed in the moment. Stave away burnout by making it a habit to leave all work-related discussions and thoughts during work hours. While sticking to New Year’s resolutions is a feat in and of itself, we’re confident you’ll be able to make great progress towards your 2019 property management goals. As long as you keep a positive mindset – thinking of all the things you want to accomplish rather than all the things you can’t or shouldn’t do – you’ll be one step closer to your New Year resolutions. What are your for the New Year?